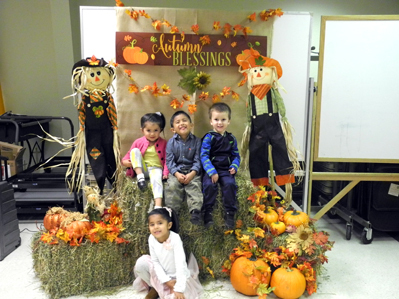 Above, students from Artesia Head Start take time out from their evening of fun for an autumn photo op Monday during the program’s Fall Festival. Children were able to enjoy games, snacks, and other activities during the event. 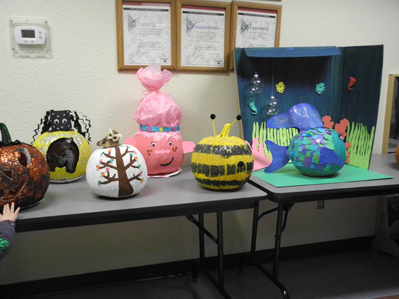 Pictured below is a selection of pumpkins creatively crafted by different classrooms.